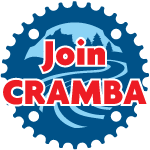 Your CRAMBA-IMBA volunteers had a great productive day improving the trails you ride. 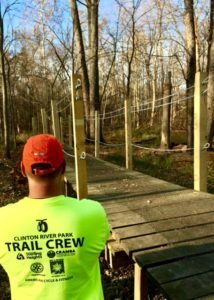 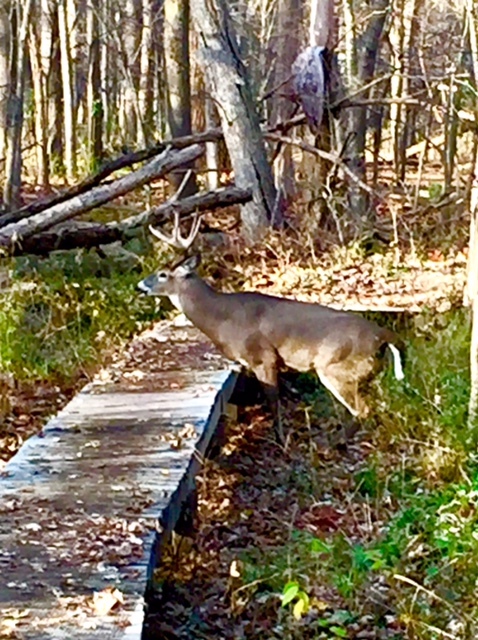 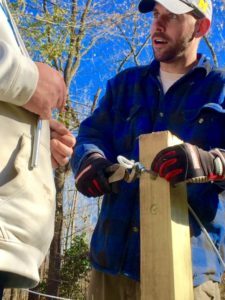 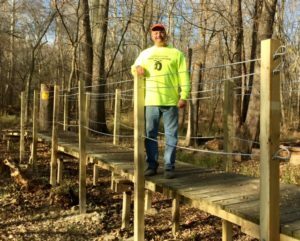 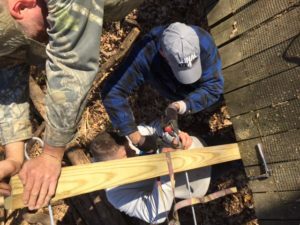 In Clinton River Part Trails (CRPT), Sterling Heights, the crew of Aaron, Mike, Phil and Paul completed a safety rail system on an elevated bridge with the generous donations from the Rotary Club of Sterling Heights. 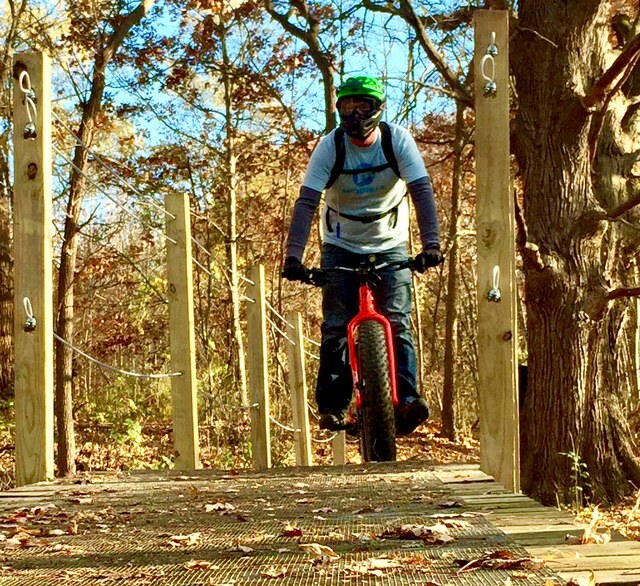 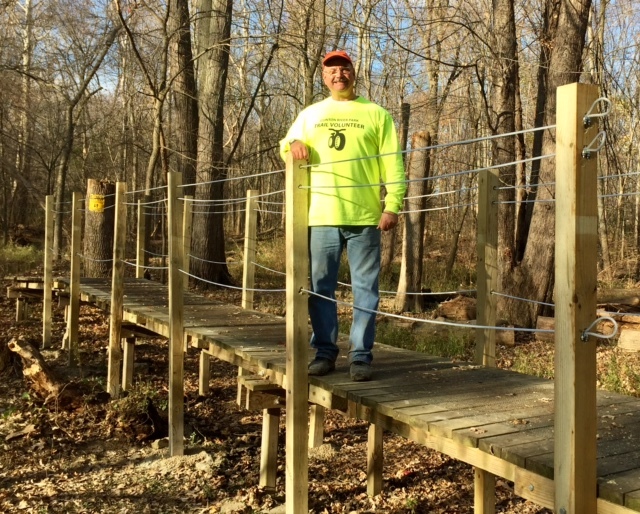 This completes a bridging project that spanned 2 seasons and greatly improved the trail for year round use. 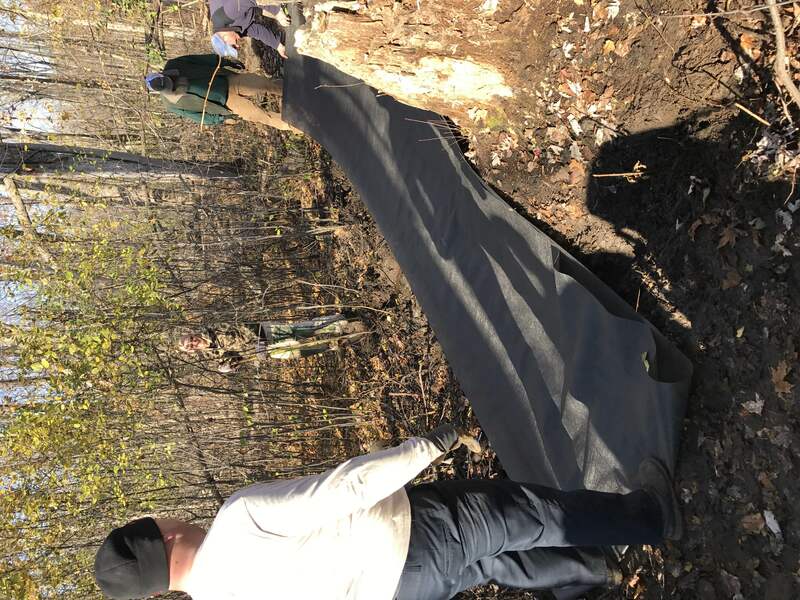 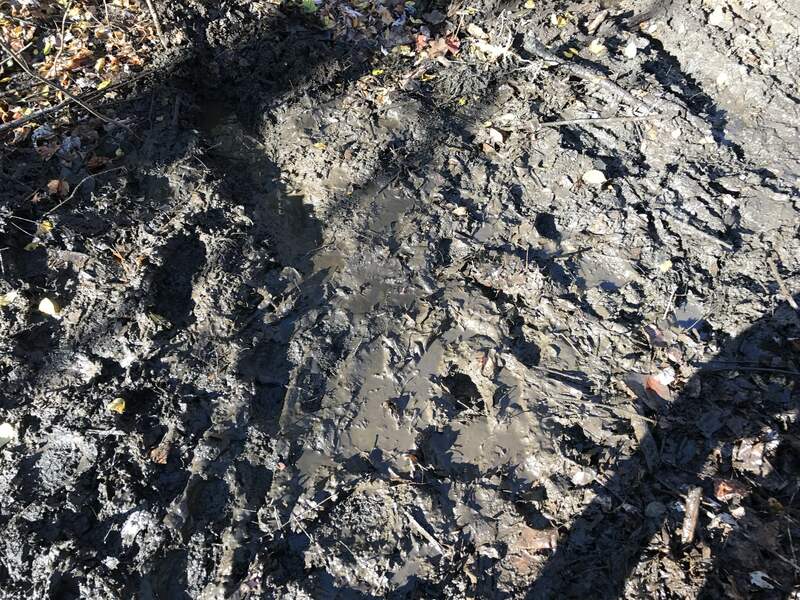 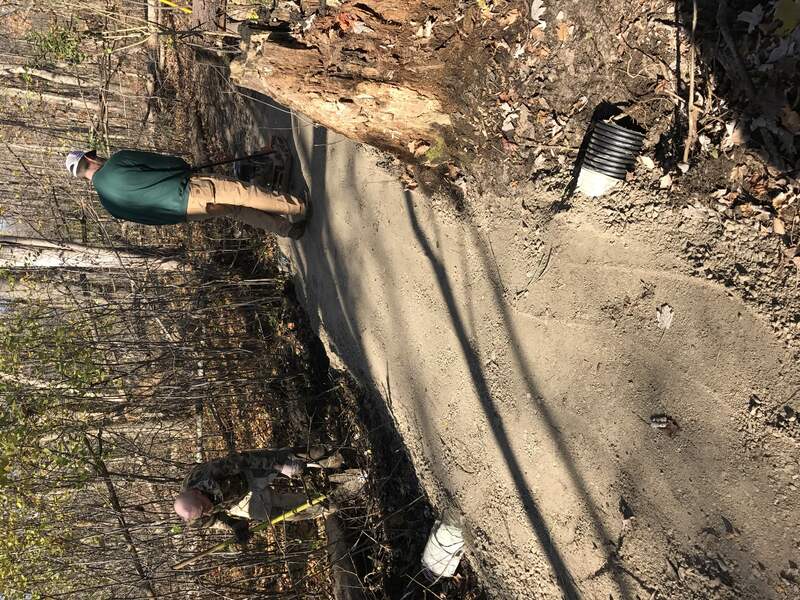 Also in River Bends Park, a large crew of Jim O, Mark S, Josh K, Rob W, Nick and Mary S, John R and Whitney R, Jeff Y, and Chris P CRAMBA was able to complete a fortification project in the newer Blue section. 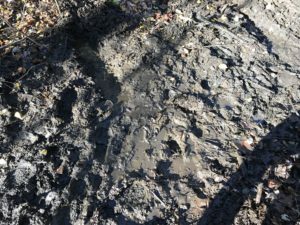 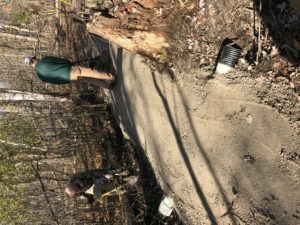 12 yards of gravel with layed down with drain tile to build a sustainable section of trail in otherwise muddy area. 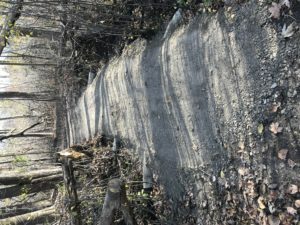 The man hours involved with greatly minimized with the addition of the donated equipment from Jim O. and Mark S.
So, thank you to all our volunteers for organizing and providing the labour and equipment to make our mountain biking trails much better for all users. 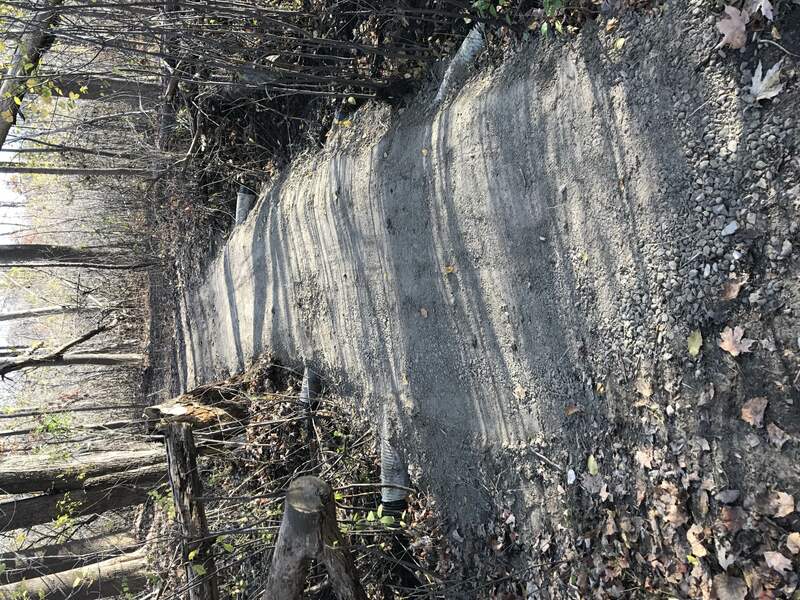 Below are a few pictures from both projects that were completed today.